With the announcement of this years Commonwealth Writers Prize Shortlist, I wanted to know about the ones that got away. Just because they didn't win doesn't make them any less amazing. If I'm honest, I also wanted to know how far back I could go - if I could actually find all the shortlists from 1987 to 2011. I honestly have no idea if it will be possible to find them all, or how long it will take, but I like a challenge. 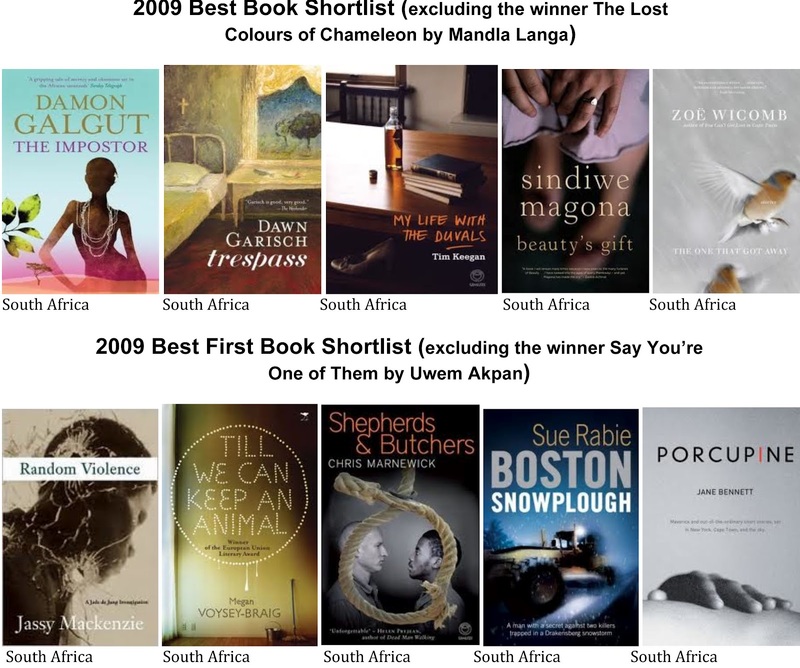 I'm starting with the 2009-2011 shortlists (is it considered cheating that I am starting with more recent years?). 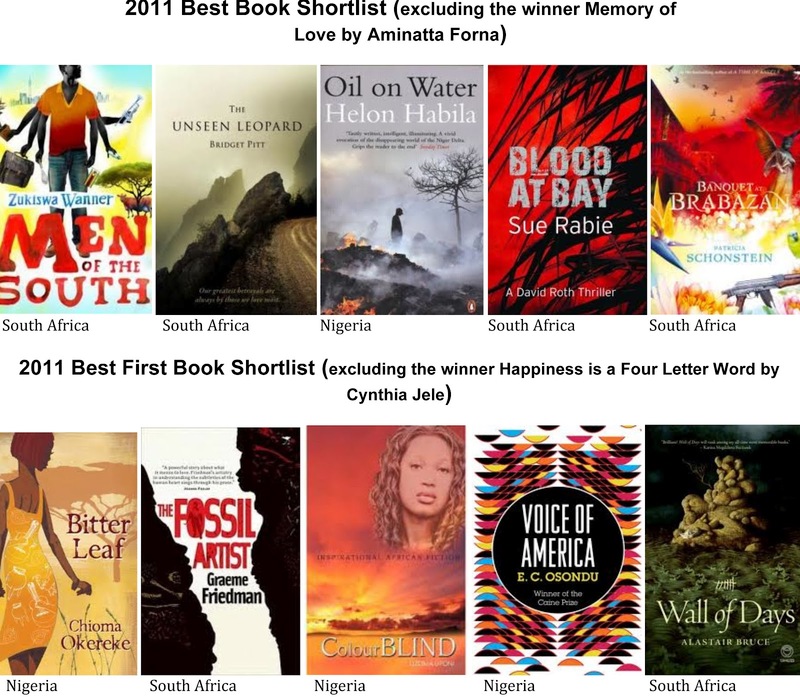 There were some amazing shortlisted books but I find it very interesting that majority were from Nigeria or South Africa. 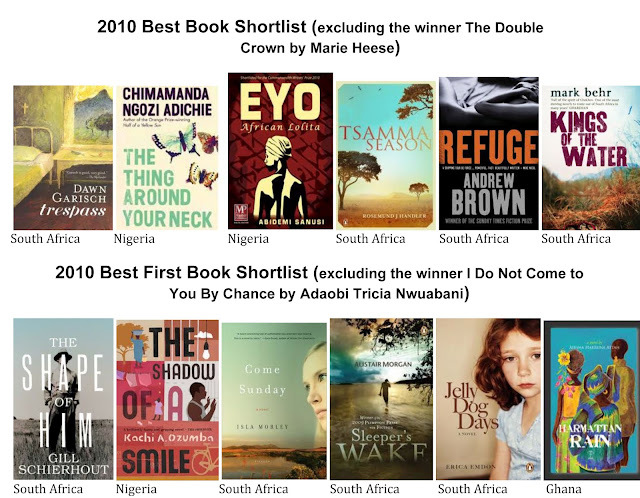 There is no doubt that Nigeria and South Africa produce some great literature, but what about the rest of Commonwealth Africa - where's Kenya, Uganda? Fair enough Sierra Leone won in 2011 and Ghana was shortlisted in 2010, but I do hope as I go back I might find more variety in terms of shortlisted countries. For now here are the 2009, 2010 and 2011 shortlists for the African region.